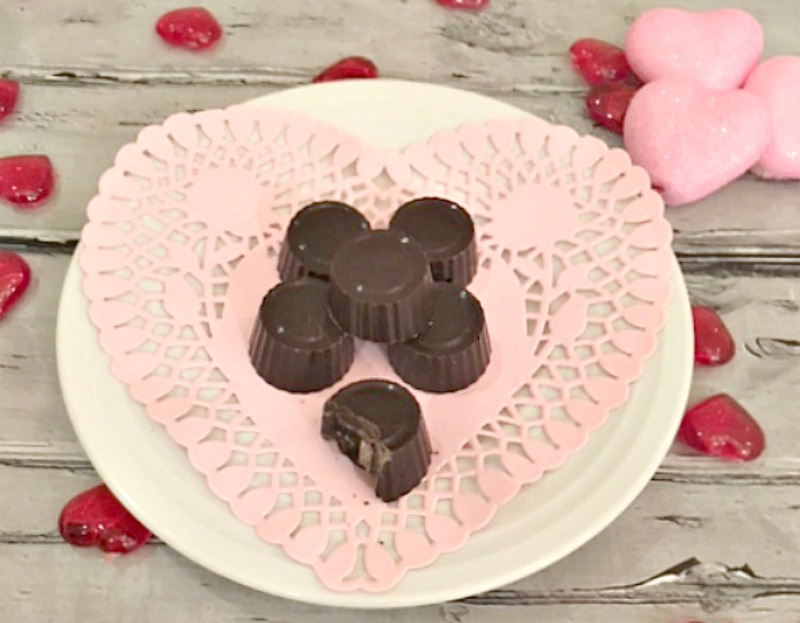 Dark Chocolate Cherry Truffles – With only 3 ingredients you have a beautiful little truffle that’s decadent and oh so delicious. Make a batch up for someone special and enjoy together! It’s that time of year again, that special day to show our loved ones how special they are once again. 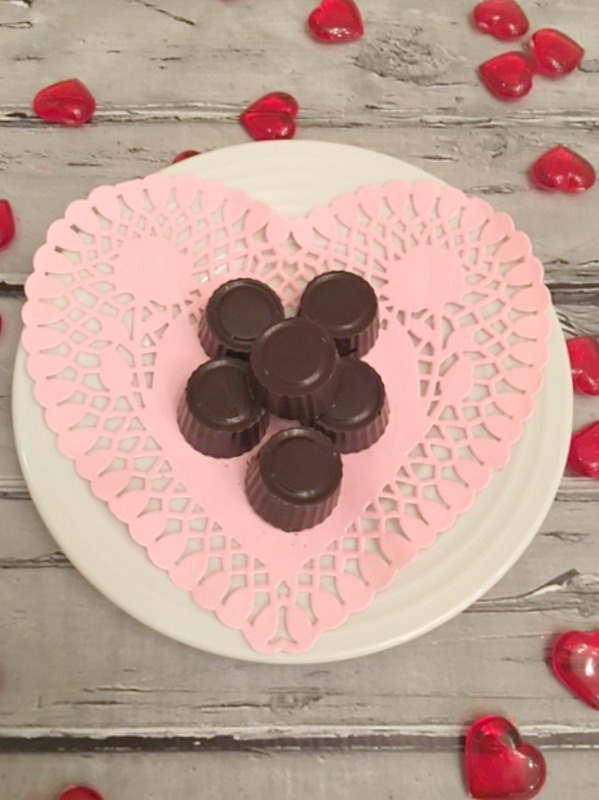 I know my husband and kids wait each year to see what I’m going to make them for Valentines day. I try to change it up each year. This time it’s a simple treat yet so decadent and healthy too. I know they are going to love these bite sized truffles as much as I love making it for them and how delicious they are. Make a big batch for your loved ones too. dried cherries, found at Trader Joes, Whole Foods or in most markets, you can sub out cranberries or raisins. Have small molds if using cleaned and ready or a large cookie sheet covered with parchment paper or wax paper ready to go. Melt 6 ounces of the chocolate either in the microwave or over a double boiler as directed on package along with the small amount of oil. When completely melted, add the rest of the chocolate and mix until the rest is melted and chocolate is smooth and shiny. 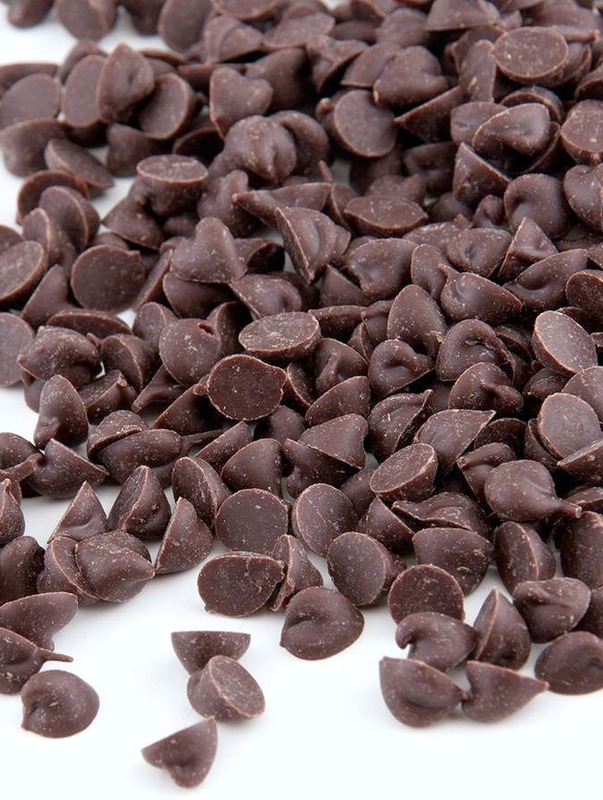 Pour a small amount of chocolate in each mold or on parchment then place a dried cherry on top. Dollop more chocolate to completely cover the cherry. Place in fridge until completely hardened. Usually between 30 and 60 minutes. Pop out of molds and off of paper. Let sit on counter for 10 minutes to enjoy the chocolate goodness. Store in fridge up to 5 days. With only a few ingredients you have a beautiful little truffle that’s decadent and oh so delicious. Make a batch up for someone special and enjoy together! 1.Have small molds if using cleaned and ready or a large cookie sheet covered with parchment paper or wax paper ready to go. 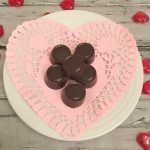 2.Melt 6 ounces of the chocolate either in the microwave or over a double boiler as directed on package along with the small amount of oil. 3.When completely melted, add the rest of the chocolate and mix until the rest is melted and chocolate is smooth and shiny. 4.Pour a small amount of chocolate in each mold or on parchment then place a dried cherry on top. Dollop more chocolate to completely cover the cherry. 5.Place in fridge until completely hardened. Usually between 30 and 60 minutes. Pop out of molds and off of paper. Let sit on counter for 10 minutes to enjoy the chocolate goodness. Store in fridge up to 5 days.